It’s not in any cookbook or magazine. You are just supposed to know how to make boiled or steamed potatoes (dampfkartoffeln) when you cook German food. But it definitely is an art to be learned. Here is a guide pieced together from German cooks who have a knack for cooking this starchy vegetable. Small, waxy potatoes, as many as will be eaten (red-skinned, Yukon Gold or fingerling varieties are good for this). An old saucepan or pot (this pan will eventually have calcium deposits which are hard to remove, so if you make these often, dedicate one pan to potatoes and soft-cooked eggs). Wash the potatoes well. If you only have large potatoes, cut them into halves or quarters. Place potatoes in a large saucepan with water to almost cover them. Add about 1 teaspoon of salt, if you wish. Cover pot and bring water to a boil. Cook 20 minutes or until a fork pierces the potatoes easily. When they are done, drain water, then place the saucepan and the potatoes back on the hot burner without the cover, and steam dry for a couple of minutes, shaking the pot a few times so the water evaporates. Peel the potatoes with a knife and fork, and place them in a serving dish. 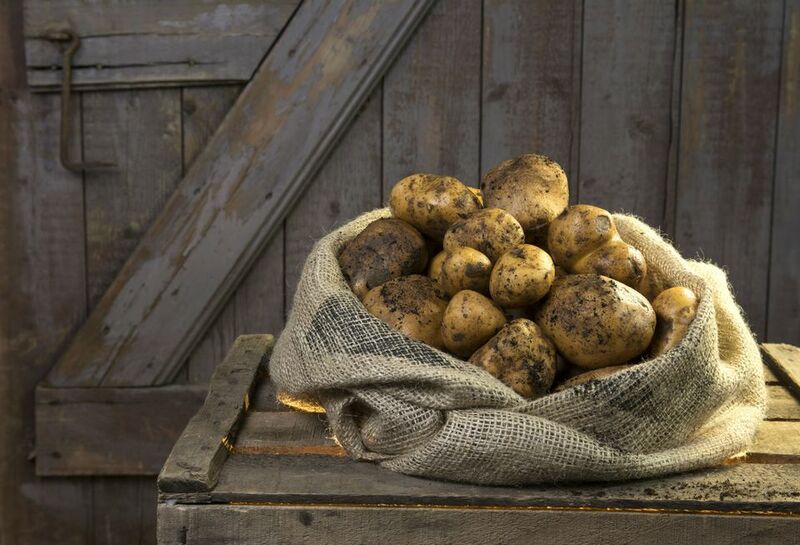 If your meal is informal, place potatoes in their jackets in a serving dish and let your diners peel them themselves. You may also pour a small amount of melted butter on them in the serving dish (in butter schwenken) and sprinkle parsley on them. Then they’re called parsleyed potatoes (petersilienkartoffeln). Eat potatoes by mashing them with a fork on the plate and using a bit of butter or some of the entrée’s sauce to season. When draining boiled potatoes, make sure you do so over a bowl to catch the cooking water. It's filled with nutrients, starch, and flavor. It's perfect to use as the liquid in bread recipes in place of milk or other liquid. Let the boiling water cool to warm before using in your recipe. It can be stored refrigerated for up to 24 hours. After that time, it develops a sweet taste and will not be compatible with all bread recipes. Just remember to let the water come to room temperature before adding it to the dough. You don't want to shock the developing yeast with cold water.